Book Lust to Go: Recommended Reading for Travelers, Vagabonds, and Dreamers is renowned librarian Nancy Pearl 's third installment of book recommendations for adults. 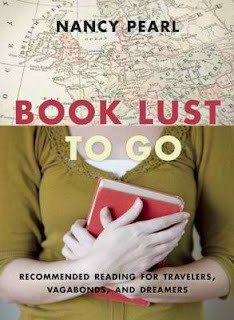 Book Lust to Go is a large compilation of book- and novel-titles dedicated solely to the subject of traveling and specific geographical locations. In her introduction, Pearl explains that despite being an armchair traveler, she has learned and experienced culture mostly through literary means, those of which are described in very specific detail throughout Book Lust to Go . The book is comprised of short sections arranged in alphabetical order and provides book-titles on works about various countries, cities, and destination-locales; from Afghanistan to Zimbabwe, from Baltimore to Los Angeles, and even provides titles you can't miss on the subjects of boating, maps, and imaginary places. Upon finishing Book Lust to Go , you'll walk away with a list of titles to add to your book wish list, just as it goes with Pearl's previous Book Lust editions. Pearl's experience as a well-read librarian makes her recommendations perfectly legit and will open your eyes to new authors! It just never fails. Although I do disagree with Nancy Pearl on some of her recommended titles such as Stalking the Wild Dik-Dik by Marie Javins (reviewed here: Dreamworld Book Reviews - Stalking the Wild Dik-Dik) and The Unknown Terrorist by Richard Flanagan (reviewed here: Dreamworld Book Reviews - The Unknown Terrorist), she does showcase some fabulous titles. Readers stumped with what to read next should definitely read Book Lust (2003) and More Book Lust (2005) for more reading ideas!